INDUSTRY groups hope a compromise can be struck on the Government’s contentious mining Bill in coming weeks, with the legislation set to return to State Parliament on February 26. SA’s Chamber of Mines and Energy and Grain Producers SA says negotiations are progressing well towards a “way forward” that will suit both the state’s agriculture and mining sectors. It’s understood any eventual deal will not include giving farmers a right to veto, which is among the demands of Yorke Peninsula landowners. 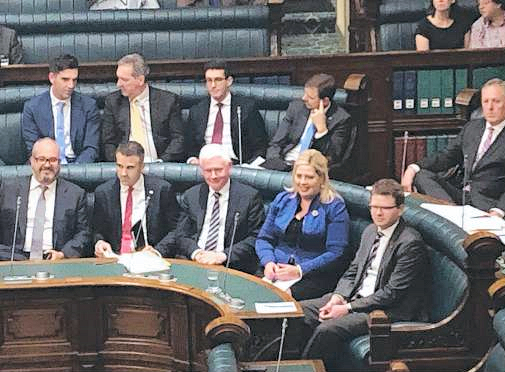 Energy and Mining Minister Dan van Holst Pellekaan and the four Liberal backbenchers who crossed the floor to postpone the Bill last year remained tight-lipped about negotiations following two days of talks at the Liberal Party’s McLaren Vale. retreat. Both SACOME and Grain Producers SA said negotiations were “constructive” and urged the Government to opt for an independent review, examining how mining is governed in other states. SACOME chief executive Rebecca Knol said all parties were “at the table trying to find a way through”. “We’re having active conversations with all parties because we need to move through this,” she said.